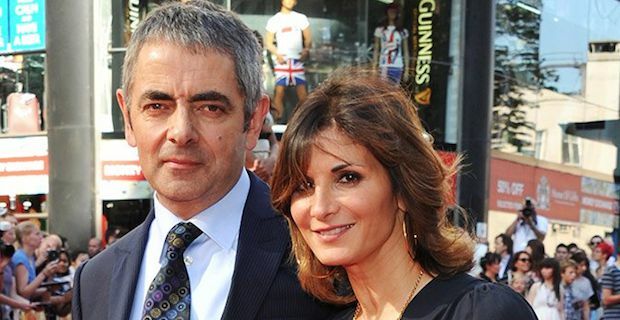 Sunetra Atkinson, wife of actor Rowan Atkinson who is known for his role in Mr. Bean and Blackladder, has been granted a decree nisi against him on grounds of ‘unreasonable behaviour’. The court hearing took place at London’s Central Family Court with proceedings that lasted a total of 65-seconds which Rowan failed to make his appearance at. Rowan and Sunetra met when Sunetra was a make-up artist at the BBC back in the 80’s. They married in February in 1990 and had 2 children, Lily and Benjamin during their 24 years of marriage. In 2013, Rowan acted in a comic play in the West End titled, Quartermaine’s Terms with actress Louise Ford. In February of 2014 Rowan left his wife for 32-year-old Ms. Ford who is half his age and have often been seen in public together. A source told the Sun that, 54-year-old Sunetra “... was deeply upset to be replaced by such a younger woman”. During their split Rowan and Sunetra were in the middle of building their £11 million home in Oxfordshire. Andrew Newbury, head of family law at Slater and Gordon said, “Although described as granting a divorce, the divorce itself won’t be made final until Sunetra Atkinson applies for the decree absolute.” So it looks like it will be another few months before the divorce is completely done and dusted.